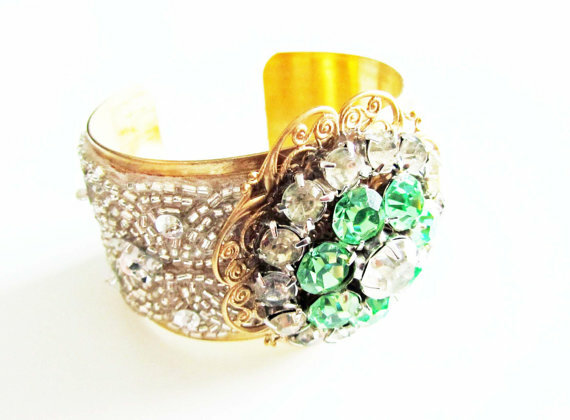 If you love a sparkly shot of green, this is the cuff for you. 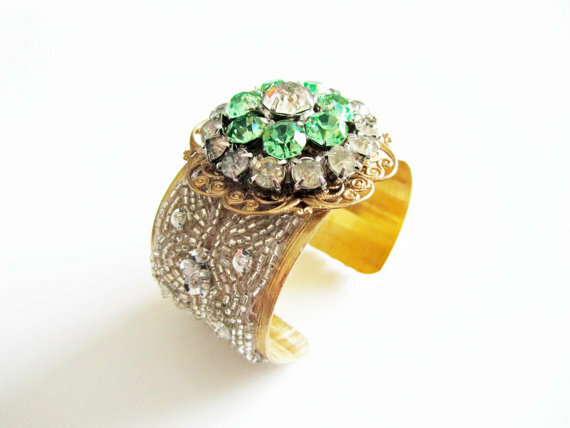 Features light green rhinestones, crystals, and a sequin trim. Black and gold is a chic + sophisticated color palette. 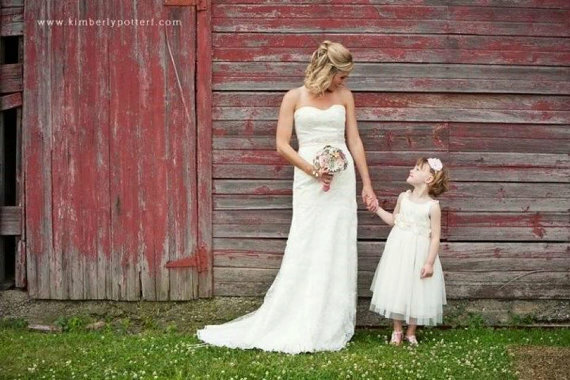 Add a hot pink focal point – featured below – and you have one hot little accessory piece. 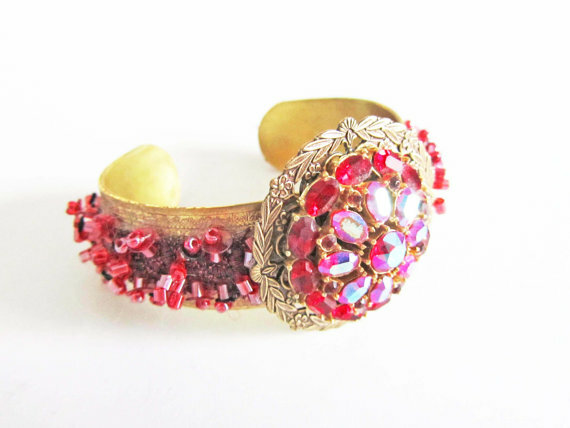 Order custom bridesmaid cuffs from Cloe Noel and receive 20% off! Visit Cloe Noel to place your custom order and mention this post for the discount. Ends September 30th, 2012. 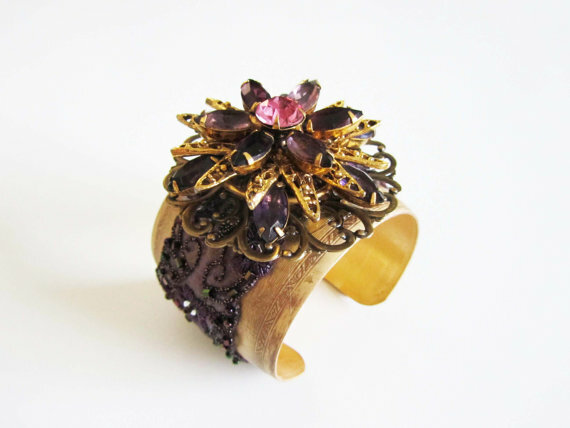 Cloe Noel is a Featured Artisan in The Marketplace.